Japanese hillside in fall. 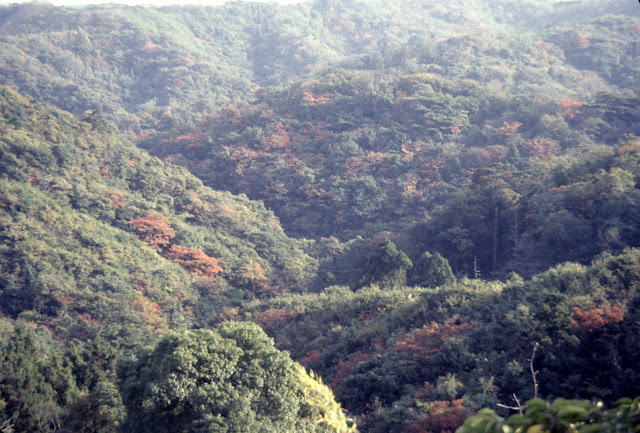 Most of the woods in Japan were evergreen, with a scattering of deciduous trees, so there wasn't much in the way of fall colors. This photo was probably taken in the late '60s.